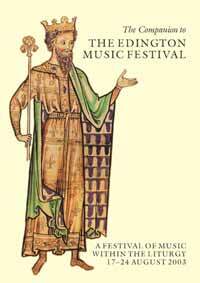 Welcome to this year’s Edington Festival of Music within the Liturgy. I hope you will be uplifted and inspired by the magnificence of the building, the beauty and power of sung and spoken word, and by the very special atmosphere of this place and of this liturgical festival. These are familiar and stirring words and seem very appropriate to have before us as we start another festival week, where so much is given in a common purpose. The Psalms, of course, are a major part of any regular liturgical provision, and as such have graced our services here year by year, as they do in so many other places of worship. Indeed, they are one of the defining components of the Office, and it has become a concern amongst some (with the welcome spread of the Eucharist as the main service in most churches) that the recitation of the Psalter has been weakened by the consequent demise of Choral Matins. Many more enlightened churches have been able to retain Psalmody at the Gradual, however, and here at Edington the Psalms have always constituted an important part of the week, notably for the Schola Cantorum, who sing plainchant Psalms for the Offices at either end of the day. This year, I wanted to have a chance to explore the Psalms, and some themes from them, in more depth. As organist of (to my knowledge) the only cathedral in these islands to have retained daily sung Matins, I have become even more acutely aware than before of how the text and character of the Psalms gets burned into our consciousness by regular recitation and repetition. They cover so many areas of the human condition, and of our awareness and understanding of God, his world and his kingdom. From a musician’s point of view, they also represent a treasure trove of texts and thus of musical settings down the ages; indeed my colleague musical directors and I could probably have come up with several more Psalm-based festivals. Aesthetically and artistically, the Psalms provide huge variety of mood and subject, sufficient to have appealed to many composers over the centuries. To a singer or worshipper reared on Anglican church music, the singing of the Psalms to Anglican chant will probably hold a special place. Indeed, many choirs regard the performance of the Psalms to be the touchstone of their liturgical work: who can forget the thrill of hearing a great interpreter with choir (or astride a colourful organ) painting the text with glowing care? This is where the change of mood even within a Psalm can be electric and awe-inspiring: one minute ‘Woe is me for I am in misery’ and the next ‘Up Lord, and at ’em!’. However, I hope to broaden the scope beyond such Anglican thrills, and I am sure that settings by Schütz , Victoria , Pizzetti, and Panufnik, amongst others, will serve to do this. The Psalms are poems, and poems that are intended to be sung, with all the emotional rather than logical connections that are proper to lyric poetry. This explains the appeal to composers, but I believe it is the breadth and depth of their spirituality which has spoken most eloquently to worshippers. The Psalms were written by many poets and at many different dates, but they are united by a common inspiration, that of the heights and depths of human experience: they express great faith, great doubt and timeless prayer, giving voice to a panoply of human emotions, sometimes sublime but at others almost embarrassingly vengeful. The chief formal characteristic of the poetry of the Psalms is one that survives in translation, and that is ‘parallelism’. Thus, ideas expressed in one line are echoed in another, or ideas expressed in one line are set alongside a contrasting idea in another. For example, Psalm 2:4: ‘He that dwelleth in heaven shall laugh them to scorn: the Lord shall have them in derision.’ In general terms, hymns and laments are the most common forms in the Psalter, which suggests that some of the Psalms may have been written to a common form for use in the liturgy. Furthermore, the biblical scholar Robert Alter points out that genre in the Psalms, ‘is very often not a locked frame but a point of departure for poetic innovation’. Over the week, we will explore the Psalms by way of various different daily themes. Beauty seemed a good place to start in the context of our place and worship, thoughts of beauty surely never being far away at Edington. ?Beauty is the gift of the Lord’, wrote Aristotle, and it is a gift for which we long, to be in God’s presence. For example, Psalm 84:2: ‘My soul hath a desire and longing to enter into the courts of the Lord’, and Psalm 42:1: ‘Like as the hart desireth the waterbrooks: so longeth my soul after thee, O God.’ Prayer and Praise (Tuesday and Wednesday) are key constituents of any act of worship, and indeed historians point to the use of Psalms in Jewish festivals before the Exile, such as Passover and Tabernacles, when the king and the Temple played a vital role in worship. Kingship is further explored on Friday, whilst on Thursday consideration of Penitence reminds us of the personal piety of some of the Psalm texts (‘Lord I am not high minded: I have no proud looks’, Psalm 131:1). Such piety gained enhanced significance after the Exile, when the Temple and priesthood were paramount. To pair Thanksgiving and Judgment (indeed to finish a festival week with – on the face of it – a sombre theme) might seem a little odd, but not if one considers that light in which the Psalms portray judgment. It is not seen as a fearful matter, but rather as an occasion of rejoicing. For instance, Psalm 67:4: ‘O let the nations rejoice and be glad, for thou shalt judge the folk righteously.’ The ancient Jews were thinking of God’s judgment in terms of an earthly court of justice. The feeling of the Psalmist is that his case is unanswerable, once it has been heard: he has been wronged, and when God comes to judge, this wrong will be put right. As modern-day Christians, we perhaps do not deserve to have quite this confidence. What can alarm us about judgment (as so terrifyingly portrayed, say, in Verdi’s Requiem) is what C S Lewis refers to as ‘the infinite purity of the standard against which our actions will be judged’. How will we ever measure up? However, there is comfort, for we know from the Psalms that the Lord is merciful, long-suffering and of great patience (see Psalm 103, for instance), and we can also pin our hopes on the work and ministry of Christ. 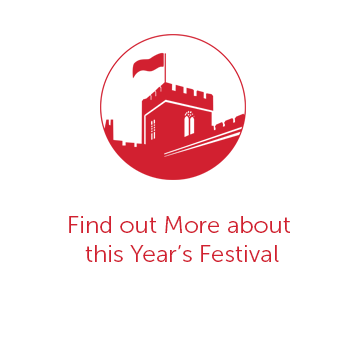 The music for this year’s festival is, as ever, selected from a rich and wide repertoire. Given the large amount of wonderful music of the earlier periods requiring organ continuo, we have been fortunate to be able to hire a chamber organ for the duration of the week. This has been funded by the Festival Association in place of commissioning a new work, although we retain our promotion of music of our own time with the inclusion of settings of the alternative evening canticles by Philip Moore, and motets by Roxanna Panufnik and our own festival organist, Matthew Martin. It is good to be able to perform within the liturgy two rarely heard Renaissance masses based on Psalm texts by Palestrina and Lassus, sung by the Nave Choir and Consort respectively on Monday and Tuesday mornings, as well as Janácvek’s atmospheric but incomplete Mass in E flat (Friday evening). Palestrina’s Missa Eripe me de inimicis meis is based on Psalm 59 (‘Deliver me from mine enemies, O God’), whilst Lassus’s Missa In te Domine speravi is based on Psalm 31 (‘In thee, O Lord, have I put my trust’). We also mark the centenary of the birth of Lennox Berkeley with the inclusion of his well crafted and liturgically apt Missa brevis on the final Sunday. The Psalms derive their name from the Greek psalmoi, itself a rendering of the Hebrew mizmorim, meaning ‘hymns’ or ‘songs of praise’. The word ‘psalter’ is also derived from a Greek word, psalterion, meaning ‘stringed instrument’, perhaps suggestive of instrumental accompaniment. The book of Psalms, together with Proverbs and perhaps the Song of Songs, is distinguished from all other biblical books by its manifestly anthological nature. Although the Psalms were composed over a long period (probably at least five centuries), they are not arranged chronologically, but rather are grouped into five ‘books’, echoing the five books of ‘The Laws of Moses’. These in turn were formed from ten major collections with shared themes, often sharing catchwords and similar contents, such as the Hallel collections (112 – 118 and 146 – 150), which have the common theme of praise to God (in Hebrew halal means ‘praise’). Indeed, the fact that the final five Psalms (a kind of coda to the collection, if you like) are framed by the expression ‘Praise the Lord’ suggests that the book of Psalms leads worshippers through grief to thanksgiving, from lament to praise. The authorship of the Psalms was probably as wide ranging as their subject matter, encompassing court poets, cultic prophets, priests and scribes. What is also remarkable is that in the Psalms both individual prayer and communal praise find expression, as do private reflection and learned instruction. There is much fascinating detail that could fill a whole Companion! Psalm 119, for instance, is the longest Psalm of course, but is also an acrostic, having eight lines beginning with each of the twenty-two letters of the Hebrew alphabet. Furthermore, this is a Psalm famous for its expounding of the law, and indeed each line has one of eight synonyms for the law. Psalms also have individual titles ranging from a single word to extensive comment, some referring to particular events in David’s life (this applies to virtually all the Psalms in Book 1), some giving specific liturgical instruction, and some referring to genre (prayer, song). The Psalms can also be divided by literary type: lament (both individual and communal), royal enthronement, thanksgiving, wisdom, prophetic, and mixed. Some of these are really quite formulaic: for instance, laments routinely include an opening address, description of trouble, petition, expression of confidence, and a vow, whilst thanksgiving Psalms include praise, description of past trouble, testimony, and exhortation. However one chooses to appreciate the Psalms, their rich theology has clearly inspired great worship and music over many centuries, and one’s response to them can be as personal as prayer. Indeed, in the words of theologian James Crenshaw, ‘from these majestic Psalms one learns how to pray’. Suffice it to say that I am eagerly looking forward to hearing our preachers develop the themes in the course of the week, illuminated by the glories of the musicians’ interpretations of these timeless texts. My thanks as ever are due to all those who enrich the life of the festival by giving so freely of their time and skill: to Nick Flower for designing the festival literature, to Peter Roberts and Clare Dawson our administrators, to choir directors Jeremy Summerly, Andrew Carwood and Robert Quinney, and to organists Matthew Martin and Julian Thomas. 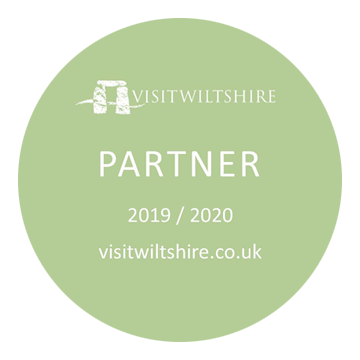 In this interregnum year I am especially grateful to Paul Rose and Jean Hall, and, as ever, for the efforts of John Barnard, Adrian Hutton, Christine Laslett, Joanna Robertson, Nicholas Buckman, John d’Arcy, and Jeremy Moore, who all do so much to ensure the festival’s success. Above all we are grateful to the host families in the village and neighbouring area without whom there could be no festival, and to all who give so much time to ensure the smooth running of successive festivals.